Just two months after its former president joined Goldman Sachs, the European Commission has been caught up in another corporate scandal. 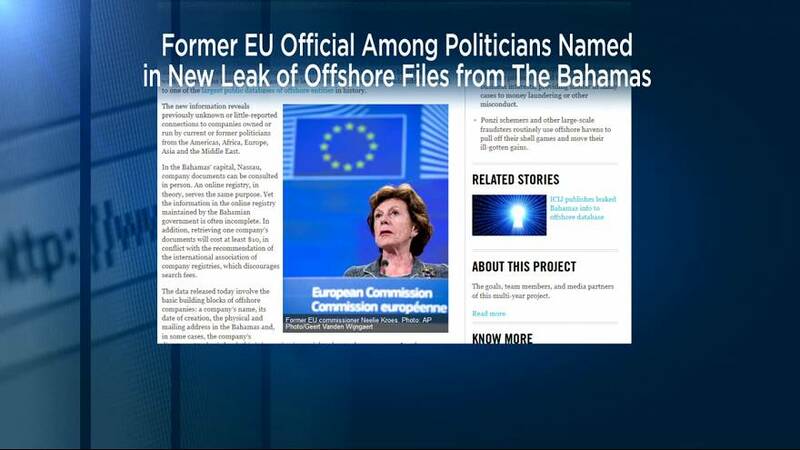 This time involving the EU’s ex-anti trust czar Neelie Kroes, a Dutch politician. She was found to have been listed as the director of an offshore company in the Bahamas during her tenure. A European Commission spokesman said the institution was unaware that this overlapped with her time in Brussels. “There are certain things that even the strictest rules like ours cannot fix. This was the case of our former president, who made the choice to go to work for a certain bank,” said Margaritis Schinas. Former commission president Jose Manuel Barroso is already facing an ethics probe over his role at Goldman Sachs; the ex-Portuguese prime minister denies he broke any rules. Carl Dolan of Transparency International told euronews that these corporate appointments and the ‘revolving door’ between the public and private sector erode trust between voters and lawmakers. “All this reinforces in the public’s mind the idea that there are lots of potential for conflict of interests with Commissioners moving to private industry,” said Dolan. A lawyer for Neelie Kroes said it was a mix-up that the ex-Dutch parliamentarian had not resigned before taking her role in Brussels. He said his client believed the firm had been wound up two years before she accepted her EU job.